Cute. 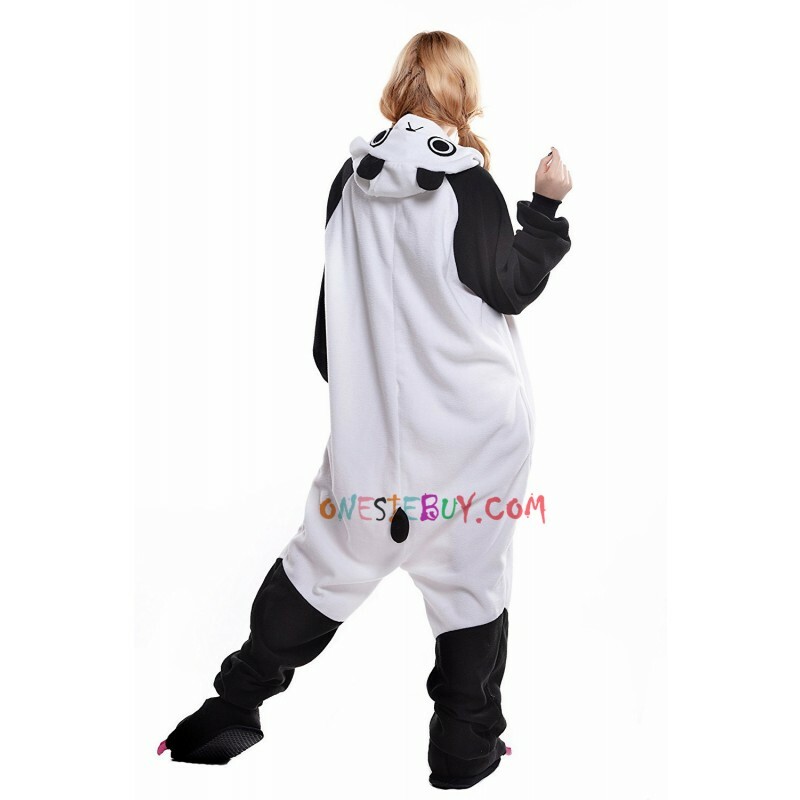 Fit loose enough to make it look like a cuddly panda. Good quality and cute. I ordered the large based on the height suggestion (I'm 5'9") and it's huge! I probably should have gone with the standard size, but I'm still happy with it. I picked these up as a gift for a panda fan. She loves them. The only drawback I can see is they button instead of zip but it doesn't seem to bother her so they're a win. Adorable kigurumi. It's spacious without being bulky, and very very cute. The wings don't get in the way, though the tail is a little odd if you sit on it wrong. Over all though, love it! Love the feel of it, very cozy. Incredibly soft! 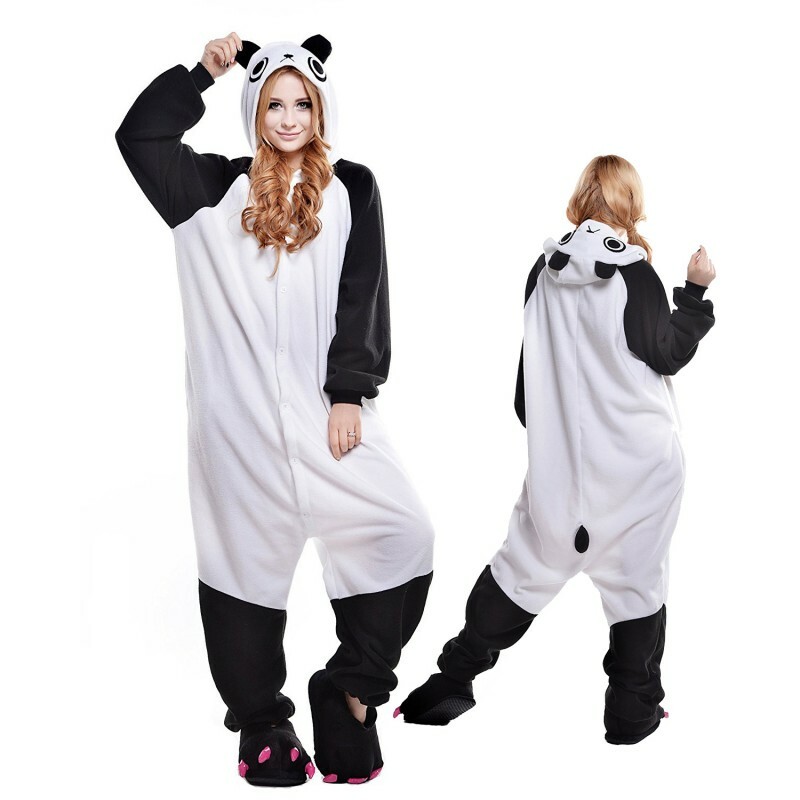 Perfect gift for any panda-phile! I ordered one for my girlfriend and it looks perfect, with plenty of room and extra length. The little poofy tail is adorable. Incredibly soft. My daughter hasn't taken it off since it arrived. Wash inside out, air dry and it will stay soft. I bought this for my daughter and she liked to wear it, she said it was to soft, I absolutely love it!!! Super soft like a faux fur blanket.